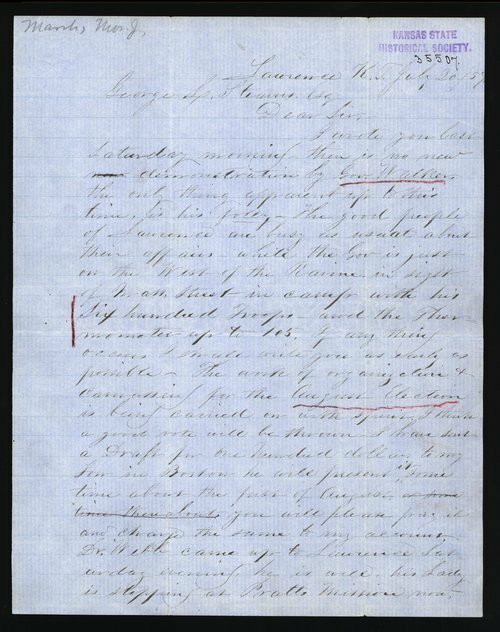 Thomas J. Marsh in Lawrence writes to George L. Stearns regarding Governor Robert Walker and his troops that were stationed outside of Lawrence. The letter also mentions the August elections and canvassing for the Free State Party. A searchable, full-text version of this letter is available by clicking "Text Version" below.